Reserve this relaxing corner unit condo before it’s too late! This unit has been enjoyed by many over the years. Offers breathtaking ocean views of the Gulf of Mexico, private direct ocean access to the soft sandy beach and dazzling beachfront swimming pools and spas. You’ll love your time in paradise at Saida Towers Condominium Community Building l, Unit 401, with all the comforts of home you won’t want to leave. Perfect place for creating unforgettable memories with your family and friends as you experience South Padre Island. Start your day eating breakfast on the oceanfront furnished balcony while the sea breeze gently kisses your face as it passes by. In the afternoon, quench your thirst with a favorite drink, while you sit back to listen to the soothing ocean waves. When the sun goes down, watch the shrimp boat lights dance across the water. The spacious living and dining rooms are perfect for the whole party to spend time together comfortably. Sunlight warms the large room. Continue to enjoy the views of the ocean through floor to ceiling windows while lounging comfortably on the couch, which doubles as a sofa sleeper. In the evening put your feet up while you watch a movie on the mounted flat screen TV. Enjoy the spacious kitchen and stunning granite countertops as you whip up your favorite meals in the fully stocked kitchen. Dining table fits 6 guests comfortably. During your stay, savor a meal alfresco on the balcony offering incredible ocean views, as you take time to slow down and reconnect with loved ones, who matter the most in your life. Wake up each morning to the breathtaking sunrise over the Gulf of Mexico, in the large master bedroom, while snug beneath the covers of the king size bed. In the afternoon take a break from your fun filled day to watch a show on the flat screen TV. Offers ample storage for your belongings in the multi-drawer bedside tables, 7-drawer dresser and closet. Pamper yourself in the master bathroom, with His and Her sinks. Storage for toiletries below each vanity. At the end of the day, enjoy a hot shower to rinse off the salty sand and to relax your muscles from a fun day at the beach. The first guest bedroom boasts a king size bed, to ensure a restful night of sleep. Enjoy the tropical views from the windows. Has plenty of storage for personal belongings in the 2-drawer bedside tables, 5-drawer dresser and closet. The second guest bedroom has a queen and twin-size beds. Perfect spot to sneak away in the afternoon to devour a good book or take a nap. Unpack your belongings into the 4 & 6 drawer dressers and closet. Freshen up in the guest bathroom with a sleek vanity and tub/shower combo, great for taking a hot bubble bath at the end of a fabulous day. The Saida Condominium Community offers a variety of amenities to enhance your relaxing getaway. Take a stroll around the spacious courtyard adorned in exotic foliage to enhance your tropical escape. Stop by the activity center (seasonal) to rent equipment for a thrilling game of tennis, four courts available, or a competitive game of shuffleboard. Take a dip in one of three dazzling beachfront swimming pools (one heated in the winter). Quench your thirst with a refreshing cool drink from one of two pool side snack bars (seasonal). Lounge chairs surround each sparkling pool to assist in attaining a sun kissed glow while you lie back and listen to the relaxing ocean waves dancing back and forth along the shoreline. Missing the sand between your toes, enjoy private direct ocean access to the soft sandy beach and crystal-clear Gulf of Mexico. Seasonal beach rentals are available (chairs, umbrellas, boogie boards, etc.) In the evening unwind in one of four hot tubs as you gaze at the spectacular starry sky. 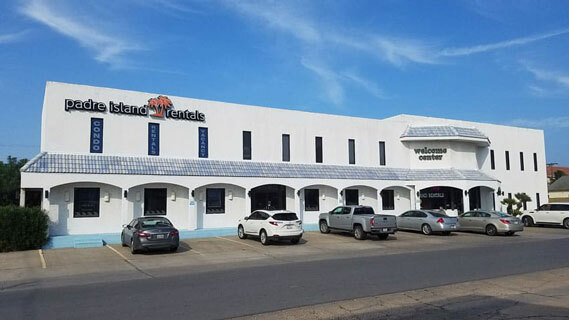 If you decide to leave Saida Condominium Community for a bite to eat there are local favorites within walking distance: Ceviche Ceviche, Russo’s Pizzeria South Padre Island, and Tropical Smoothie Café. To experience adventures further along the island, take advantage of the city’s free transportation on The Island Metro. See the Island Metro Schedule here. On the north side of the island, experience close encounters with sea turtles at Sea Turtle Inc. Observe a variety of bird species and alligators at South Padre Island World Birding Center. A few more miles north is the Island Adventure Park for horseback riding and zip lining over the dunes. Heading south is Schlitterbahn Beach Waterpark with both outdoor and indoor water features and rides. Osprey Cruises and Isla Tours offer adventures out on the Bay, including dolphin spotting and parasailing. Photos, calendar and rates are current. You can book with confidence. If this vacation home is available ahead of scheduled arrival time we will do our best to let you know. This vacation home will be stocked with a starter supply of paper products, dishwasher soap, laundry detergent and hand soaps for your stay. The beds will be made with fresh linens and bathrooms stocked with high quality towels. Fresh towels may be delivered on request. A small fee may apply. Wonderful unit & resort to stay at for the Christmas holiday. This is our second time in this unit. Right size for our family/friends. Enjoy using the pools/hot tubs and tennis courts. SPI has what we need for a relaxing vacation. Hi Donna, Thanks for the wonderful review. We are so happy to hear you and family had such a awesome holiday. Another excellent vacation. We try to come down every year. We have rented #401 4 or 5 years now. We eat out most of the time, but the beds are fantastic and the view from the deck are to die for. Obviously we love it. The first thing we do when planning our trip is to look to see if #401 is available...our home away from home. We love the pools, the beach, and the tiki bar. The seafood in the area is fantastic...we can not wait till our next trip next year! Thank you for your review, so glad you enjoyed it. See you next year! !